Though it remains widely misunderstood, Temporomandibular Joint Dysfunction, or TMD affects millions of individuals each year. 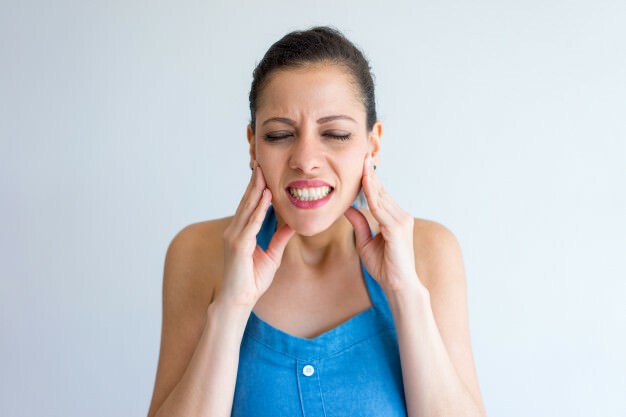 Sometimes referred to as TMJ, with a greater emphasis on the jaw joint, TMD has a number of suspected causes, including injury to the jaw or neck muscles, grinding teeth, arthritis, stress, or a combination of all of these. Symptoms of TMD vary just the same, with jaw pain being the primary complaint. Even so, to better understand TMD as well as potential remedies and treatment options, continue reading below. Pain or tenderness in the face, jaw, neck, or shoulders, as well as the ear area, with increasing pain when one speaks, chews, or opens the mouth. Jaws that seemingly become stuck or locked when in the open or closed-mouth position. Clicking, popping, or grating sounds in the jaw joint when chewing, opening, or closing the mouth. Feeling that the teeth are not fitting together properly when one bites down. Feeling of tiredness in the face or jaw area. Swelling of one or both sides of the face. Because a number of the above-mentioned symptoms point to other conditions, diagnosing TMD is tricky. Thus, it is necessary to consider a patient’s overall health history, as well as a thorough analysis of the structure of the patient’s face, including muscles, tendons, and joints. It’s also wise to take into account any recent changes in the patient’s lifestyle or circumstances that may be causing stress or strain. Treatment for TMD is guided, in part, by the suspected cause of an individual’s symptoms. For instance, if an x-ray reveals that the TMJ disc is misplaced in the joint, an oral surgeon may be consulted to determine if therapy or surgery is needed. Yet, if TMD is from bruxism, which is grinding or clenching the jaw, a mouth guard might be the solution. In other cases, if stress is causing muscles to tighten, warm compresses and/or massage therapy may relieve symptoms. At Smile Avenue Family Dentistry, Dr. Patrick Vuong is passionate about providing patients with a unique dental experience—one that puts them at ease concerning their oral health. When patients suffer from the effects of TMD, he understands that this can put a damper on everyday activities, affecting one’s ability to eat, speak, and even sleep. Thus, if you are suffering with any of the symptoms listed above, and would like to meet with Dr. Vuong, please call Smile Avenue Family Dentistry today. We’re here to help!